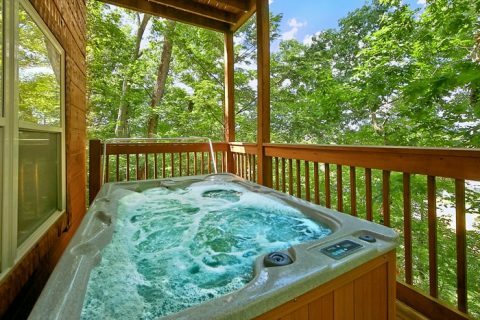 3 Bedroom Cabin Near Gatlinburg with Hot Tub - "Catch a Star"
Complete with all the amenities needed for a relaxing weekend away, this 3-bedroom cabin near Gatlinburg with a hot tub sleeps up to 10, making it the perfect lodging for large families or small groups. 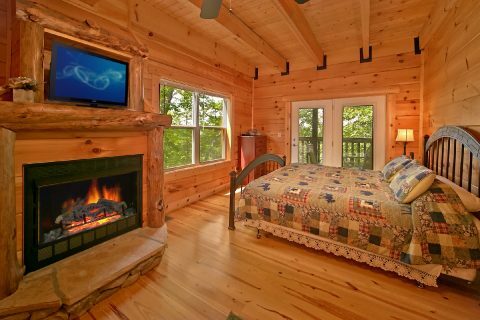 "Catch a Star's" beautifully custom-crafted interior provides all the comfort needed for a getaway to the Smokies! 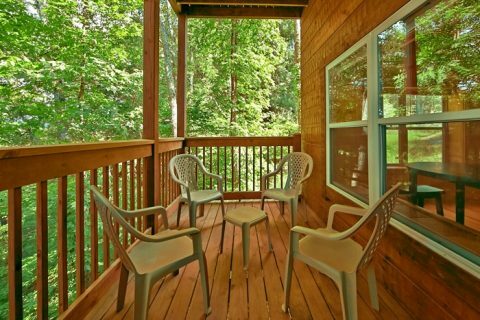 This 3-bedroom cabin near Gatlinburg gives guests a convenient location just off the Pigeon Forge Parkway. 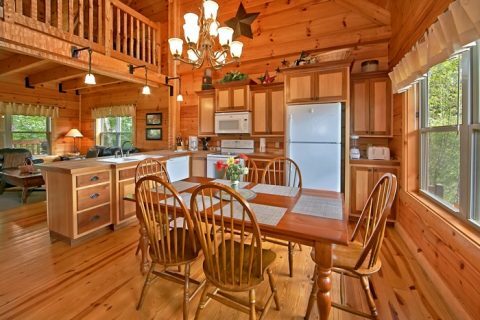 With restaurants, shopping, shows, and attractions only a few minutes away, "Catch a Star" places visitors in the heart of the action. Additionally, this 3-bedroom cabin in the Smoky Mountains gives guests plenty of options for entertainment. 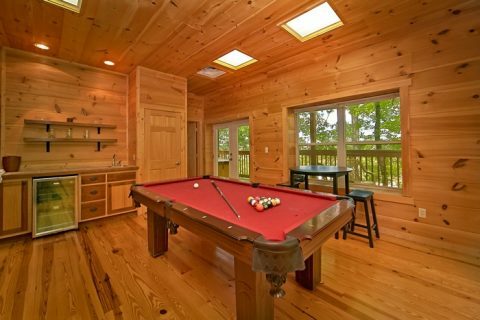 Host a family tournament on the pool table in the game room. 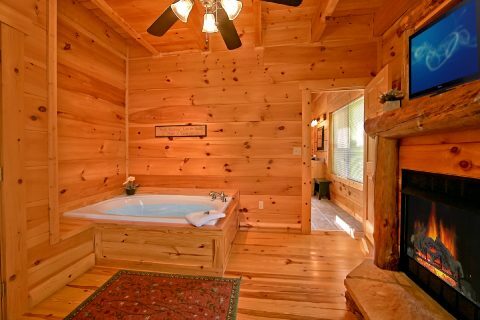 Use the free WiFi to stream movies, games, and more. 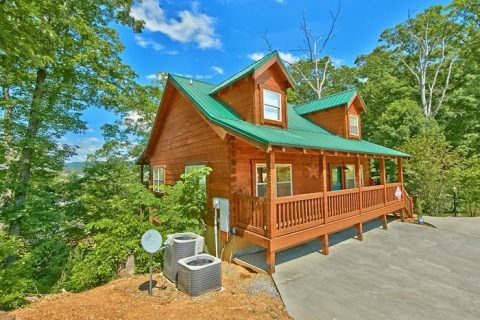 Everyone in the group is bound to have a great time on the trip – inside or outside your cabin getaway! 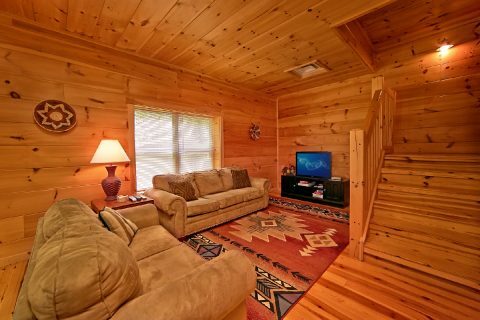 "Catch a Star" also provides many opportunities to relax as well. 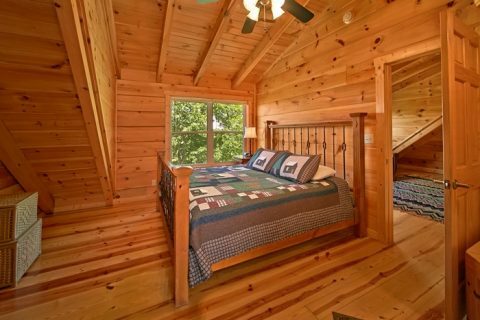 This 3-bedroom cabin near Gatlinburg boasts king-sized beds and private bathrooms with jacuzzi tubs in each of the bedrooms. 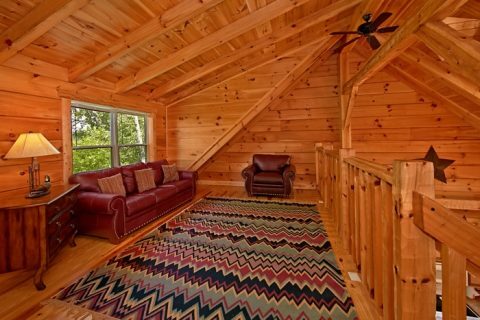 For extra guests, a sleeper sofa is provided downstairs. 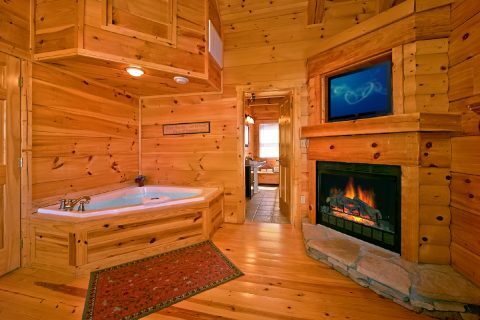 Additionally, all of these king-suites even contain their own fireplace for added relaxing ambiance. 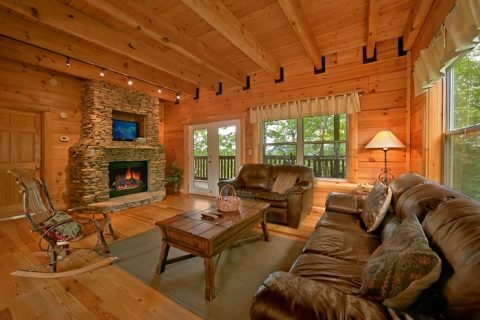 For even more rest and relaxation, warm up in front of the stacked stone gas fireplace in the living room with some hot cocoa or cider. 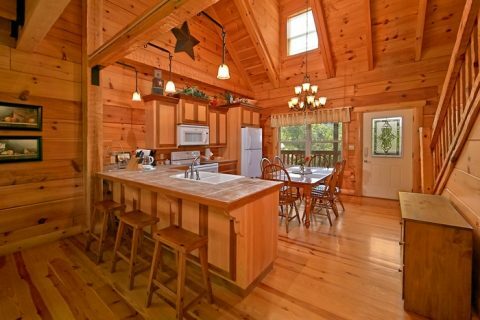 Cook holiday meals in the handsome, customized dine-in kitchen with gorgeous cabinetry and plenty of counter space. 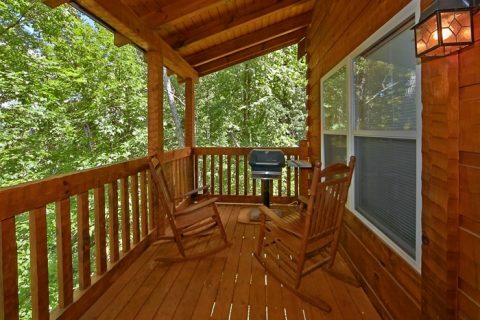 The deck gives plenty of space to enjoy the mountain air and scenery as well as providing a gas grill and plenty of seating for memorable cookouts. 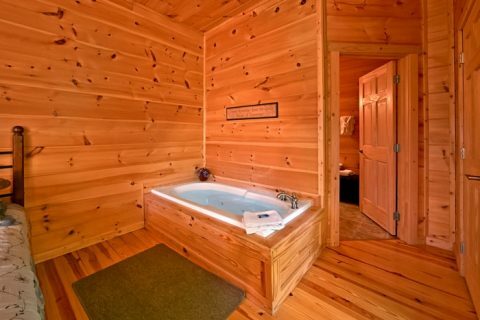 Lastly, a hot tub is the perfect place to relax throughout the year. 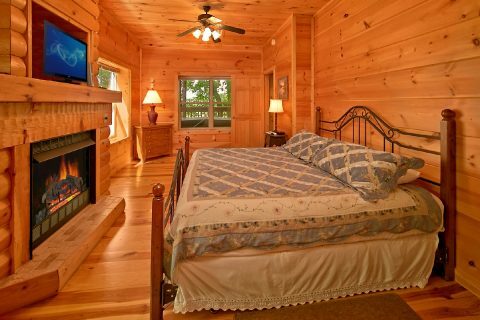 Start planning for a vacation to remember. 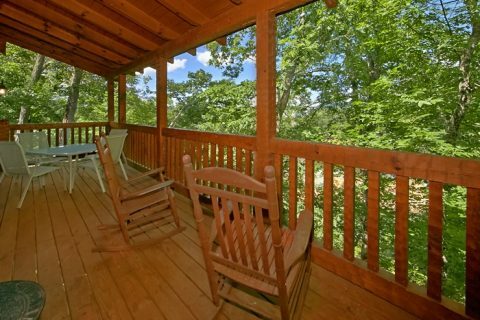 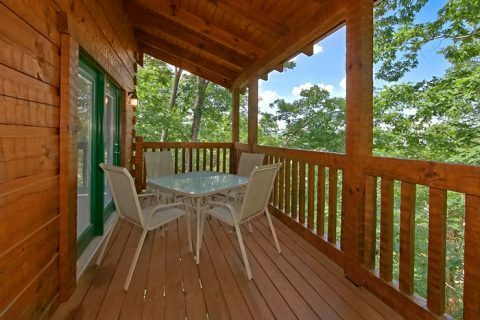 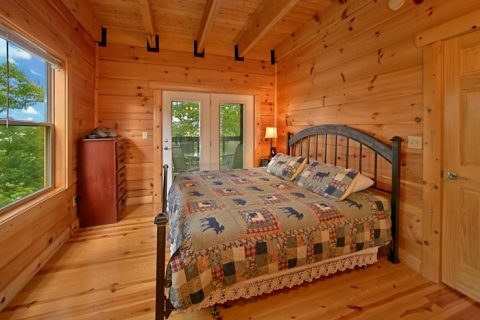 Book this 3-bedroom cabin near Gatlinburg and receive an IMMEDIATE ONLINE DISCOUNT today!